I love using Facebook to stay in touch with friends. Maybe too much sharing. Maybe too many links. Maybe. However, I have recently discovered a serious flaw: you can only have 5,000 friends. That might sound like a lot, and it likely is, but it doesn’t work for me. Thank God there are many people that want to stay in touch, and it’s a blessing. Until I maxed out yesterday. So after consulting with some friends and members of the community I decided to create a Facebook page which has unlimited numbers of people that I can connect to. On my page I will be posting as I did on my profile, including pertinent articles, insights that I want to share, events that I will be taking part in, Tweets, and photos to share with the world. We can stay in touch through messages, and we can share and like each other’s posts. So I hope that you will join me on my new page! Please join me and my family for an interactive, inspiring, and transformative Seder for young professionals on Tuesday Night, April 15th, 7pm, at the Pico Shul We begin with appetizers and the seder begins at 8pm. We hope that you will join us for four cups of wine and bring your friends that might not otherwise be at a Seder! No one should get left in Egypt! Early RSVP for $40 until April 6th. There will be no children program. Thank you for contacting Budget Truck Customer Service. We extend our most sincere apologies for any inconvenience you have been caused and we can certainly understand your frustration. We are sorry to learn your recent experience with a Budget licensee has not met the usual high standards our customers have come to expect and deserve. picked up from. They handle all of their issues on their own, because the truck that was rented was not a truck owned by Budget Truck but by the licensee. We apologize for any confusion this may cause. P Consider the environment. Please do not print this e-mail unless you really need to. Will Anyone Fill Bronfman’s Chair? As the Jewish world comes to grips with the passing of the legendary Jewish leader, activist, philanthropist and businessman Edgar Bronfman, who died this weekend at the age of 84, major questions arise. Is this the end of Jewish mega-philanthropists whose enormous gifts have propped up many of the leading Jewish institutions in the Jewish community? Will any already committed mega-philanthropists step up to take his place at the helm of broad-based Jewish giving? Can the Jewish world recruit younger mega-funders? Statistics are hard to come by for outsiders. Jewish legacy organizations and Jewish Federations have been depending on large gifts from aging donors to make up for the steep decline in donations from younger donors. Attempts to recruit a new generation of Jewish mega-donors is not working. Bronfman was at the top for years in Jewish giving, and his largess and generosity were at the top of the contemporary Jewish world. Bronfman’s support cut across political and ideological divides. For example, he supported the orthodox Yeshiva Chovavei Torah and the Reform movement’s Hebrew Union College. 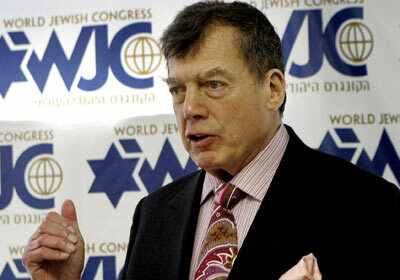 Bronfman, in his role as President of the Samuel Bronfman Foundation, also gave generously to Jewish causes. It is unlikely that anyone will ever support such a broad range of Jewish organizations and causes ever again. Bronfman was the long time head of the World Jewish Congress who used this pulpit to advocate for Jewish rights and fought for many Jewish battles including securing restitution from Swiss banks. His deep concern for Jewish identity among young Jews made him one of the first supporters of Birthright Israel. He also advocated for Soviet Jewry, against the Nazi Kurt Waldheim, and for better ties between the Jewish community and the Vatican. Unlike the Jewish Mega-donors who give primarily to secular institutions such as universities, museums, hospitals and family foundations — think of Leonard Lauder’s gift his year of 1 billion to the Met — Bronfman’s generosity extended overwhelmingly to Jewish causes. https://i2.wp.com/rabbiyonah.com/wp-content/uploads/2013/12/edgar-bronfman-sr.jpg?fit=400%2C280 280 400 rabbiyonah http://rabbiyonah.com/wp-content/uploads/2013/04/cropped-RabbiYonahbookCover11.jpg rabbiyonah2013-12-22 19:39:082013-12-22 19:39:08Will Anyone Fill Bronfman's Chair?